American audiences got their first taste of the Chinese beauty known as Summer Qing in the time-travel masterpiece Looper. While the film may have been her American debut, Qing has had a career spanning many decades in China. With roles in such pivotal films My 1919, Qing has made a name for herself as one of the leading ladies in Chinese cinema. Press Pass LA had the chance to speak candidly with Qing about her experiences. The film also stars Joseph Gordon-Levitt (Joe) and Bruce Willis (Older Joe). Qing plays Willis’ wife in the future. The film was directed by Rian Johnson and deals with the idea of time travel in the future. Essentially Willis’ character is sent back in time (still the future, he transports from 2072 back to 2042) as a hired gun for the mob to take out his younger self. PPLA: How does it feel to be making your film debut in America? QING: It was graceful and perfect, just like my character in the film. PPLA: Do you notice a difference in the film industry between China and America? QING:Do you? (Laughs out loud) I don’t think there is a big difference on the creative side. But on the commercial and political side, the difference is so big I don’t even know where to start. PPLA: Do you plan on doing any more American movies? QING: I certainly would love to do more American movies. Having said that, I also want to work with film talents from all over the world, regardless of their nationalities and background. I personally enjoy working in a multi-cultural and diverse environment as it offers more angles and different perspectives. Currently, my production company has some co-production projects under development. Of course, I would love to work with Rian again. PPLA: Tell me about your experience filming Looper, was it fun? QING: Oh yes! It was so much fun. Everyone was so nice and friendly. I felt welcomed and loved the whole time. There was one night when everyone had to wait for the bar to close to shoot that scene when Bruce saw me the first time at a bar fight. JGL (Joseph Gordon Levitt) didn’t have work that evening. But he came back to the set to say hi to me for we hadn’t officially met by then. He came to my room and stayed there to talk about China and Chinese culture. He was really keen on the Chinese language, so I taught him how to count to 10. He stayed for a long time until I had to go to shoot my part. He is such a great guy. PPLA: Did you face any language barriers during filming? QING: Yes and no. I am still taking English lessons. During filming, the cast and crew were very helpful and friendly. I didn’t feel left out at all. I was lucky that I didn’t have that many lines in English. Plus Rian encouraged me to speak more Chinese because in the future, Chinese would have become the dominant language. 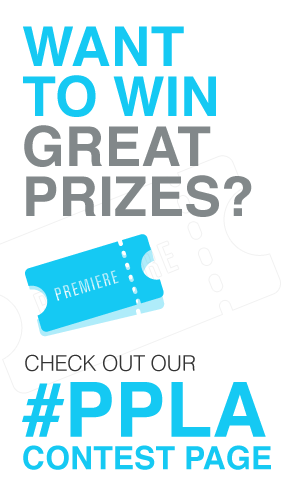 PPLA: What is next on the horizon for you? QING: My own production company has optioned a few books and they are under development. At the same time, I wish to try playing something different. After so many years of playing the good girls and the perfect woman type of characters, I find people have a certain set image of what kind of roles I should be playing, which in a way sets limitations for me. Currently, I’d love to try something different, to play a bad girl or even a villain. For instance, “the Joker” (by Heath Ledger) in the Dark Knight, or the Witch from Dark Shadows (by Eva Green), or the girl in The Girl With the Dragon Tattoo (by Rooney Mara). It isn’t easy for me. Most producers/directors still come to me with the perfect woman type of roles. It doesn’t necessarily mean that I will be focusing on working in Hollywood, but I think Hollywood has more to offer for what I want. Hopefully, I can work with Rian Johnson again in the near future. Check out these behind the scenes photos from Looper courtesy of Summer Qing.